The Professional Development Alliance provides a range of services to our sister agencies throughout Illinois and across the country, including Educational Service Agencies, Regional Offices of Education, Intermediate Service Centers, and Cooperatives (we'll collectively call them ESA's). 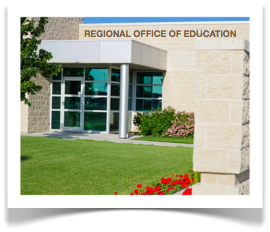 We provide services from our areas of strength to other ESA's so that we may help to improve the field of education and educator professional development far outside of our mandated service area. Facilitation and Meetings - Connect with a PDA consultant who can coach you to a higher level of facilitation skills! Explore tools and acquire skills that will help you more effectively plan and facilitate your meetings so that participants remain engaged and focused on producing results. Consultations can be provided for individuals or small groups. We can custom-design the level of support that is just right to get your meetings running more smoothly and help you reach your target outcomes in less time. For more information, contact us at (815) 744-8334. Communication Skills - Words. Every day, every hour, every minute - the world of educators is "word rich." Yet, words do not necessarily communicate accurate meanings, as they are subject to interpretation by the persons engaged in a conversation. When what is said influences opinions, arouses negative emotion, or directs decision making, inaccurate interpretation and miscommunication may have serious consequences for effective and efficient educational leadership by ESA staff. Our consultants can customize a half-day or full-day workshop for your staff to practice and learn verbal communication skills that get to the meaning behind the words, the intent of the conversation, and help the persons involved in a conversation achieve a greater degree of understanding, and perhaps respect and rapport. For more information, contact us at (815) 744-8334. The Professional Development Alliance is conveniently located near the intersections of Interstate 55 and Interstate 80, making it a convenient meeting space. In addition to our location, organizations and committees love to use the PDA facilities for their meetings because of outstanding customer service provided by our Workshop Services crew and our technology support. Room Rentals are open to both public and private organizations, with no geographic restrictions. For more information, visit the Room Rentals web page.